Turn off of Sepulveda Boulevard and you'll be greeted by these suburban-style townhouses. 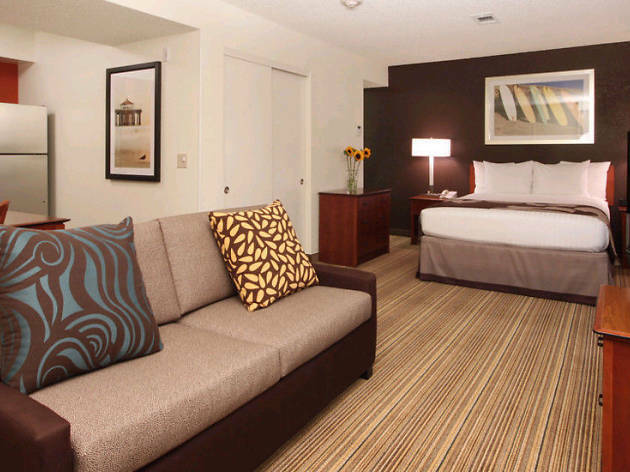 All 176 pet-friendly rooms in the extended stay hotel offer a small kitchen and dining area, as well as free Wi-Fi. 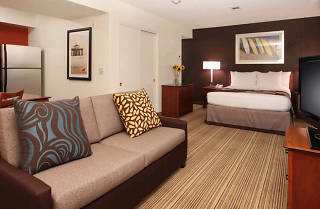 Other amenities include three outdoor BBQ areas, a pool deck with two hot tubs as well as free breakfast and parking.